ruthdelacruz | Travel and Lifestyle Blog : Loving the New Instax Share Smartphone Printer! Loving the New Instax Share Smartphone Printer! It was an instax kind of day yesterday as we had fun printing our pictures from our mobile phones through the new Instax Share Smartphone Printer SP-1! How cool it that? You can now own those instax pictures even if you don't have a Fuji Instax Camera! I still prefer printed pictures, and I still go to printing centers to print pictures for display in my wall (and I mean, real wall, not Facebook Wall!). I love to create scrapbooks too, so instantly printing pictures is just awesome. What I love about the new Instax Share Printer is you can pick your best pictures - even selfies from your gallery, smartphone, or even social media networks and instantly print using Instax Share Smartphone Printer. Unlike using the traditional Instax Camera, a poor-lighted pic taken with your worst angle can mean a wasted film. I know you are excited to know how to use it..
How to use the Instax Share Smartphone Printer SP-1? 1. First, download the Instant Share app in Apple Store or Play Store. It is like an Instagram application, and you can choose to instantly take picture or open a photo from your gallery or social media. I don't have a lot of nice selfie pictures in my smart phone, I have most of them in my camera and hard drive - so it took me a while to get and download the pictures I wish to print..
2. I have finally decided on this picture taken during our Organic Farm Tour in Bacolod :) I love that the app allows me to choose templates and designs for my photo. There are even Real Time Templates that prints the date, time, places and humidity (perfect for travels!). There is a Limited Edition Tempalte that marks the print with serial number (how unique!). For Social Media addicts, there are even SNS Template that also prints the number of likes of the picture. The Square Template allows space for messages once printed. I chose the default template, and all I needed is to connect to the Instax Share Printer via Wifi. There are number of printers during the event, and we have to take note of the route number of the printer. 3. Once connected, it would show the printing status. 4. Voila! In just 16 seconds, my picture is printed! Yay! I love the Instax Share Printer. I shared table with Earth and Jon, and we got instantly addicted! 5. The app will show the printing is successful! Of course, we have to try real time picture and real time printing, so we had a group selfie with Earth, Rodel and Paul. In the middle of printing copies, we needed to refill the film. It is easy to reload the film with just a snap! 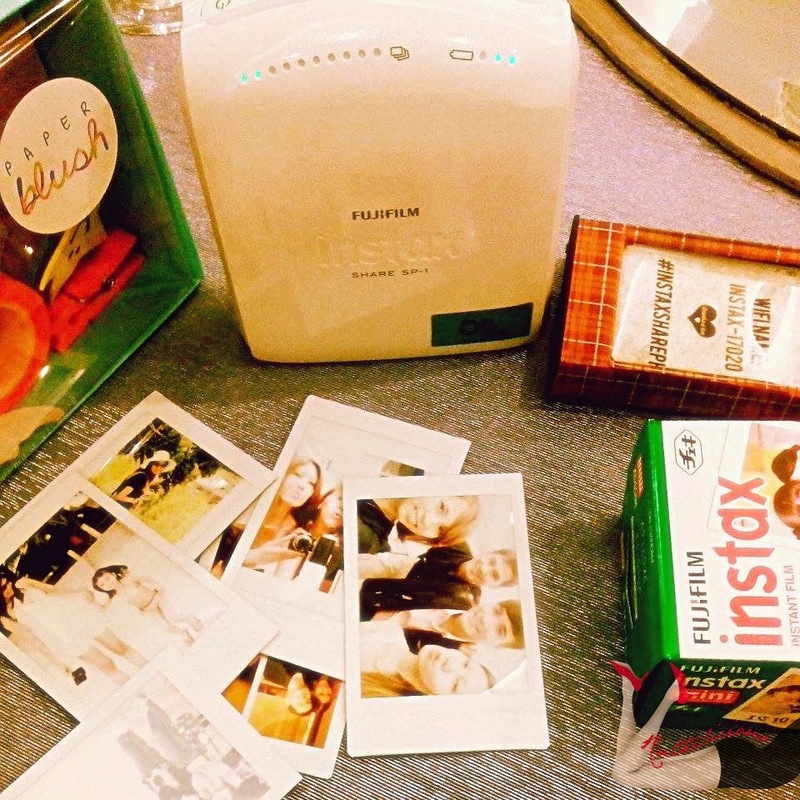 Are you falling in love with this Instax Share Printer too? It is normal. During the event, Fuji Philippines shared that instant analog pictures are becoming more and more popular to teenagers and early 20s in many countries. Printing time Image recording — photo output (fed out): Approx. 16 sec. The Instax Share Printer will be available this March for Php 9, 999. Here's our picture with our prints! Thank you Aileen for this pic! Do you have any Instax Pictures? 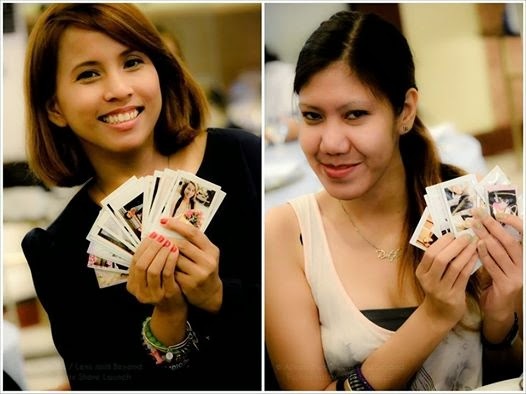 Connect with Team Instax @teaminstaxph in Twitter and Instagram. Thank you Paul and TeamInstaxPh for the invite and awesome event! What do you think of this new Instax Share Smartphone Printer? © ruthdelacruz | Travel and Lifestyle Blog : Loving the New Instax Share Smartphone Printer!